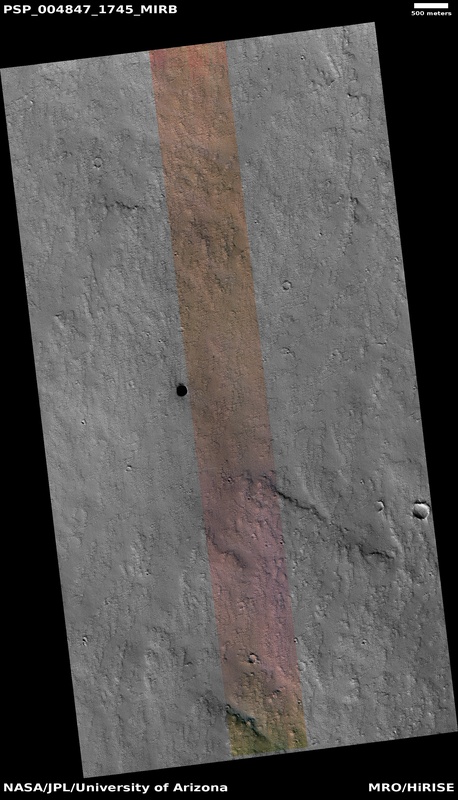 Dark pits on some of the Martian volcanoes have been speculated to be entrances into caves. 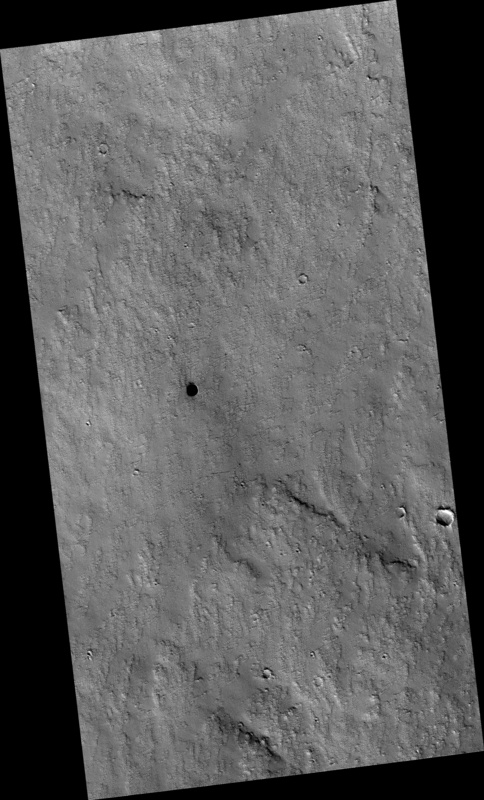 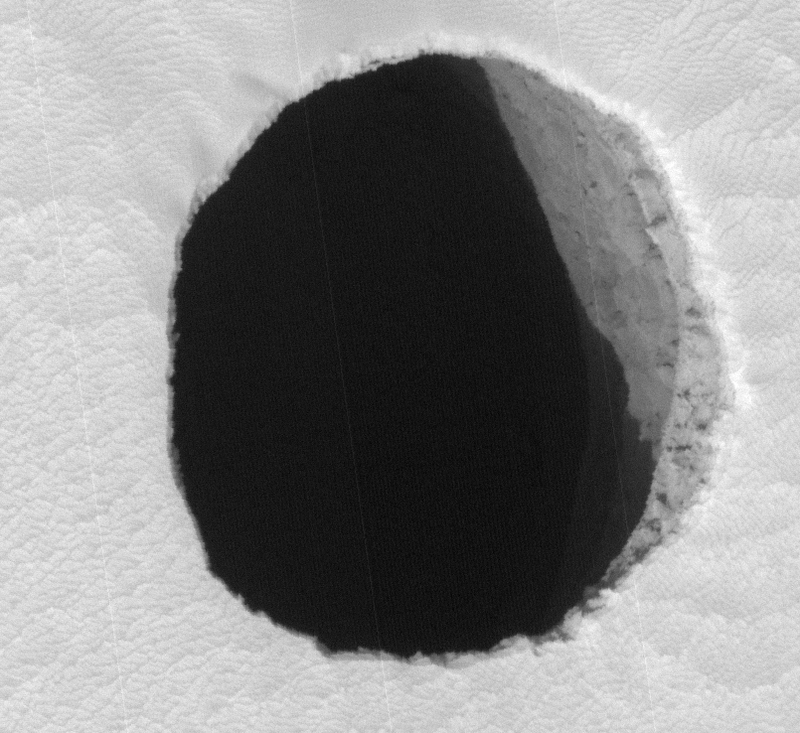 A previous HiRISE image, looking essentially straight down, saw only darkness in this pit. 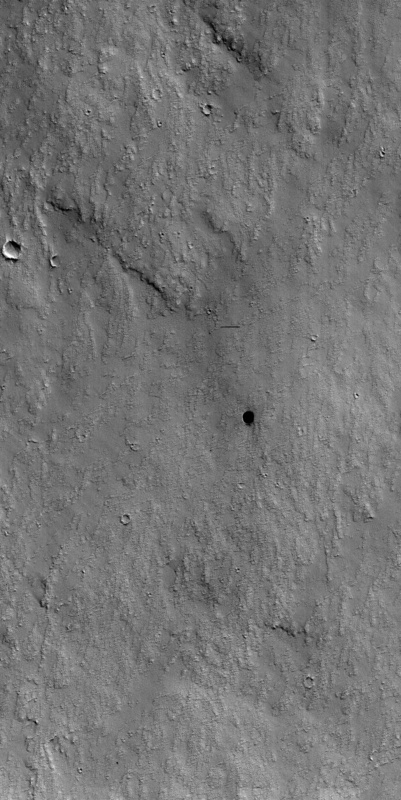 This time the pit was imaged from the west. 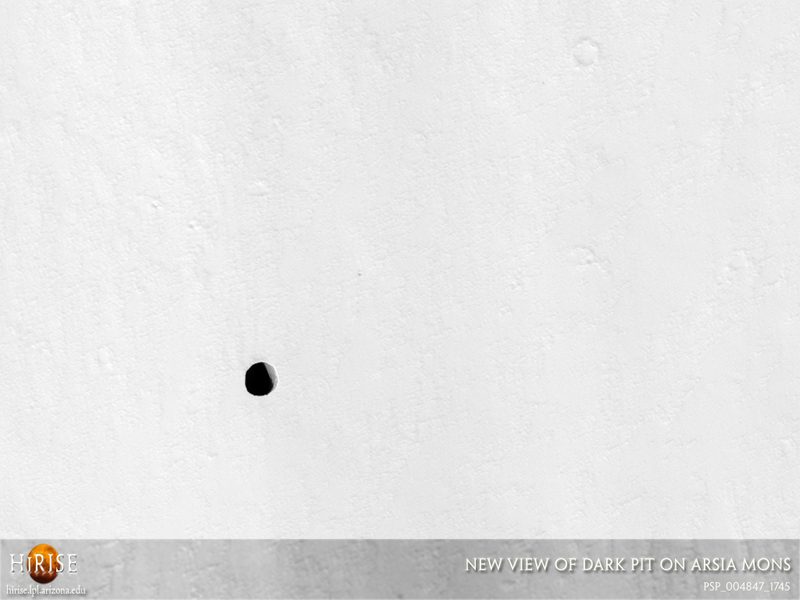 Since the picture was taken at about 2:30 p.m. local (Mars) time, the sun was also shining from the west. We can now see the eastern wall of the pit catching the sunlight. 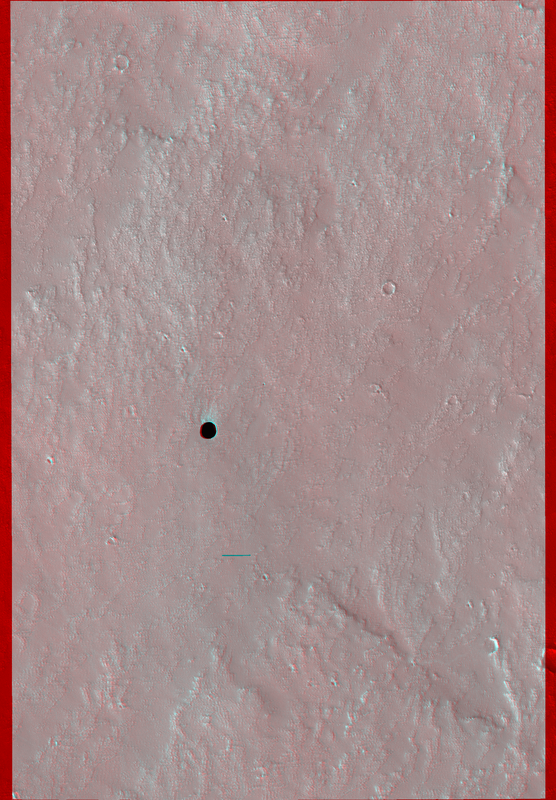 This is a stereo pair with PSP_003647_1745.